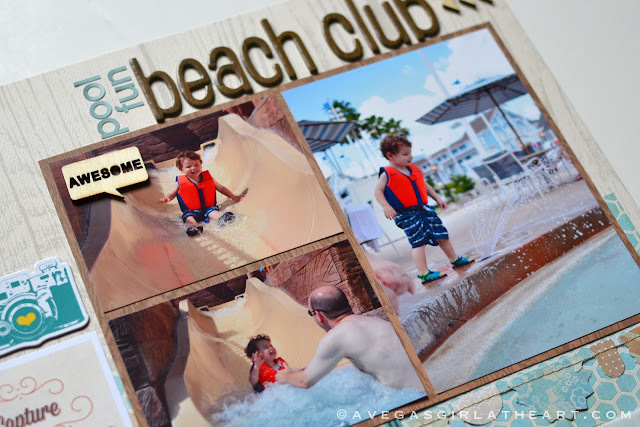 Before I did my Project Life spreads or my mini album for Disney, I just had to scrapbook a few of my favorite photos of Austin at the pool. I had so much fun putting this one together. I used some of my favorite colors and some really great embellishments on the page. 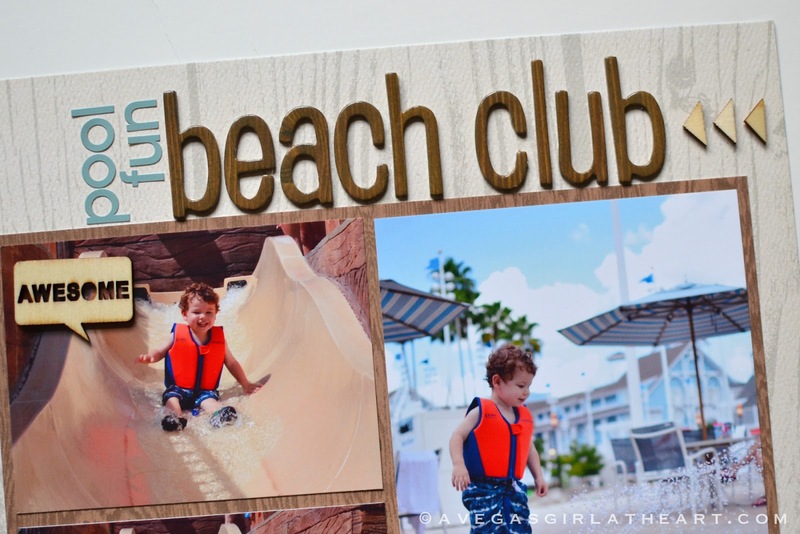 I am in love with the white washed wood grain background paper from Teresa Collins. The slide at the pool was inside a shipwreck, so I used a lot of wood or wood grain elements. For the title, I used some wood grain thickers by American Crafts, along with some alpha stickers from Simple Stories. Then I added some wood shapes from Studio Calico to embellish. Keeping up with the wood theme, I added a Recollections wood quote bubble next to the photo of Austin starting his way down the slide. 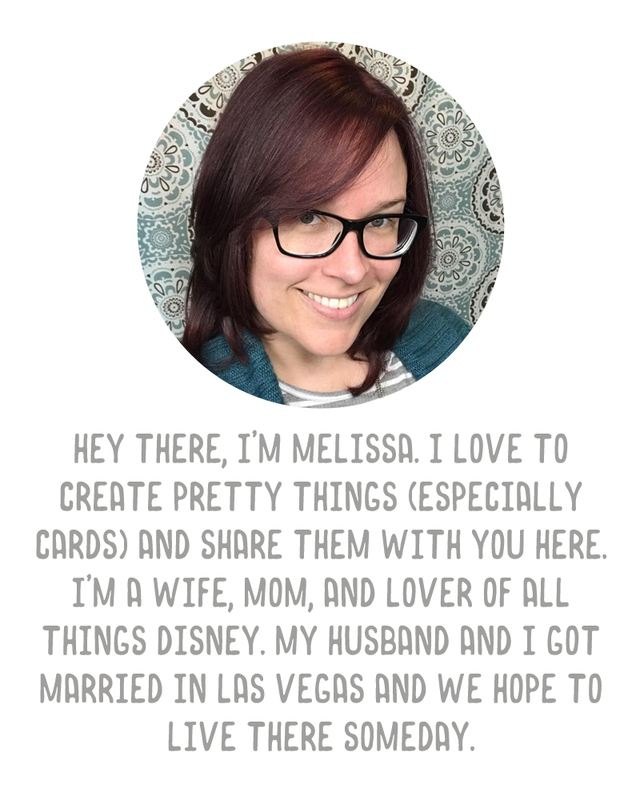 I love the BasicGrey Capture die cuts but I haven't really had a chance to use them. This Capture The Moments one seemed perfect. Above that I added a chipboard camera from Recollections. I used some mosaic tiles that I found in the clearance section at Michaels. At the time, I debated buying all the colors they had, but settled on this aqua, because it was my favorite. They have a shimmery look and I thought that went well with the water in the photos. I did my journaling on a sheet cut from the Glitz Uncharted Waters 6x6 paper pad. I just ran it through my typewriter because I don't trust my handwriting not to mess up my page! My favorite part of the page is this little vellum envelope that I die cut and added sand from the resort to. I used a Sizzix die to cut the envelope and sealed the edges well with my ATG gun. I didn't want any sand to escape and needed a way to adhere it to my page, so I added some clear photo corners around each edge which helped hold it to the page. On top I added a button from My Mind's Eye and some sequins. 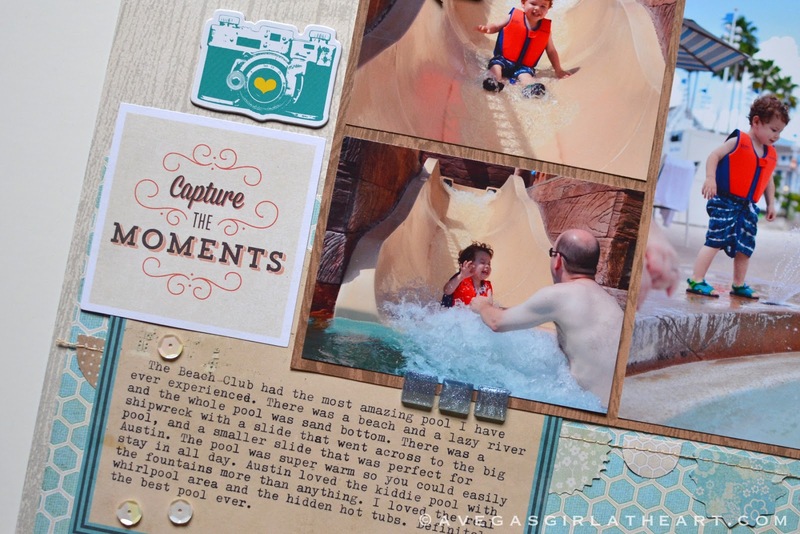 I get this weird adrenaline rush after finishing a scrapbook page now, something that never used to happen when I was scrapping the "Creative Memories" way in the past. I think taking a break and doing only Project Life, and now scrapping my very favorite photos and taking my time to make them is just what I needed to enjoy this hobby again. I look forward to my next page! What a great layout you put together! Love all the details.